Chalmers University of Technology has an opening postdoctoral researcher position in mechanical engineering. This position is available for two years. Applications are invited up to November 16, 2018. We are offering a position as a Postdoctoral Researcher in the Multiphase Flow group, in a project related to mathematical modelling and numerical simulations of gas-liquid mass transfer in non-Newtonian fermentation broths. In particular, the project will focus on the prospects of mass transfer intensification in fermentation reactors. Extensive energy system changes will be necessary to replace fossil fuels. It is expected that the demand for food, bio-energy and other bio-based products will increase dramatically, and that organic residues and lignocellulosic plants will be important to meet the growing demands of biomass production. Microbial fermentation processes are already used today to produce fuels and commodity chemicals, and offer promising new opportunities for tomorrow. The use of syngas as a feedstock (containing mainly CO, CO2 and H2), together with the application of electrochemical methods, would make it possible to convert all the carbon in a broad range of feedstocks to targeted products. However, such an approach is to date relatively unexplored. The most pressing challenge to address before gaseous substrates can be used in industrial microbial fermentation processes is related to the poor mass and energy transfer between the gas, the microbes and the electrodes. In this project, an interdisciplinary collaboration between the Division of Fluid Dynamics, the Division of Industrial Biotechnology and the Division of Chemical Physics will be established to work on enabling electrochemically assisted syngas fermentation. The work at the Fluid Dynamics division will concern multiphase DNS of gas-liquid mass transfer from the syngas to the non-Newtonian fermentation broth. Dedicated mass transfer experiments will be performed at the Division of Chemical Physics, whereas data from fermentation experiments will be supplied from the Division of Industrial Biotechnology. One of the major ambitions of the modeling work is to provide assistance for the second generation of fermentation experiments in terms of strategies for mass transfer intensification, with regard to fermenter design and operation. 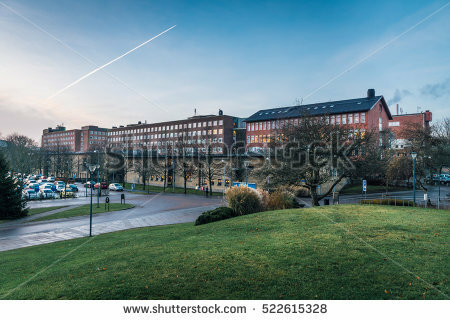 As a Postdoctoral Researcher in this project, you will be working at the Division of Fluid Dynamics at Chalmers University of Technology in an interdisciplinary project. Working as a Postdoctoral Researcher requires a great deal of creativity and ability to think “outside the box”. Furthermore, as the current project involves close cooperation with several partners, collaborative and communicative skills will be essential. The fundamental scientific questions that need to be addressed in the development of the new mathematical model are primarily related to the sub-grid modelling of the concentration field on the liquid side. Model development on different levels of detail will therefore be needed, to obtain insight at the microscopic level and to be able to provide guidelines for system-level optimization. The project will thus offer possibilities to contribute both to the development of state-of-the-art numerical models for reactive multiphase flows, as well as to help address technical challenges of significant societal, environmental and economical impact. Your major responsibility will be to pursue the research and development within the project. You are expected to develop your own scientific ideas and concepts, and to communicate the results of your research verbally and in writing. You will be guided by the senior researchers involved in the project and have ample opportunities to develop an extended network in the field of reactive multiphase flows, mass transferand industrial biotechnology. The position is a full-time temporary employment with a competitive salary and with social benefits. The position is limited to a maximum of two years. To qualify as a Postdoctoral Researcher in the current project, you must have a PhD degree in a relevant field (Mechanical Engineering, Chemical Engineering, Energy Technology, Engineering Physics, Engineering Mathematics, Biotechnology or similar). The position requires sound verbal and written communication skills in English, as well as an ability to plan and organize the work involved. You like to work independently, and you plan and think strategically. You are creative and like to put new ideas into practice. You have a solid interest in scientific computing, and you understand and are able to handle numerical codes and data quickly and correctly. You like to work in interdisciplinary projects and you have the ability to discuss and communicate your work with people of different backgrounds. We also believe that you are a motivated person, with a strong curiosity and a genuine wish to learn more and develop your skills and knowledge further in the fields of research, research communication and project management.